More businesses are looking to different social media platforms to increase their exposure in the industry and to reach more people on websites or apps that are available. This is a smart move. Our team at ProFit Marketing Solutions recognizes the growing power and influence that technology-based business offers. Although many companies use social media to advertise their goods or services, few do it successfully. If you want to succeed online, there are a few secrets to business social media success. Many businesses don’t understand the importance of regularly updating their social media accounts, which is crucial for ranking higher on search results and for also keeping your audience engaged. Make it a point to post at least once a day whether you’re asking your followers a question or you’re posting an interesting quote. Staying updated on each social media platform will keep your audience more informed on a consistent basis and will also allow your business to be on your potential clients’ minds more. If you don’t post valuable content online, then you can’t expect your customers to continue visiting your pages. You need to give your audience something valuable if you want to get something in return. Avoid blasting messages or advertising too much, which can turn off both loyal and potential customers. Instead, offer valuable facts, tips, and information that benefits the audience. It’s important to know what your key demographic cares about and where those people spend their time. Make it a point to start new conversations that allow you to begin making connections and that ensure people continue to come back for more content. You’ll build more community by word of mouth if you’re already having a conversation and if you’re offering value, which can allow you to ask your audience to assist in attracting more consumers. You can also get your audience to participate by asking them to sign up for emails or by asking for their opinions about the goods or services that you offer. Consider viewing your competitions’ pages to determine what they’re doing well and how they’re succeeding. You can also avoid mistakes by reviewing what may not be working for them. Checking out the social media pages of your profitable competitors will allow you to know what is necessary for a successful social media marketing campaign. The visuals and imagery that you use on your social media pages will represent your brand and will determine the professionalism of your own site. You’ll need to use quality images that have high resolution and that look appealing. Investing in design costs ensures that your social media pages are attractive and match your website. Social media channels that are low-quality will cause consumers to look elsewhere and won’t attract them to your business. You may want to hire a graphic designer who can create banners, attractive ads, and graphics to post each week. More businesses understand the importance of responding to reviews that are left by their customers. 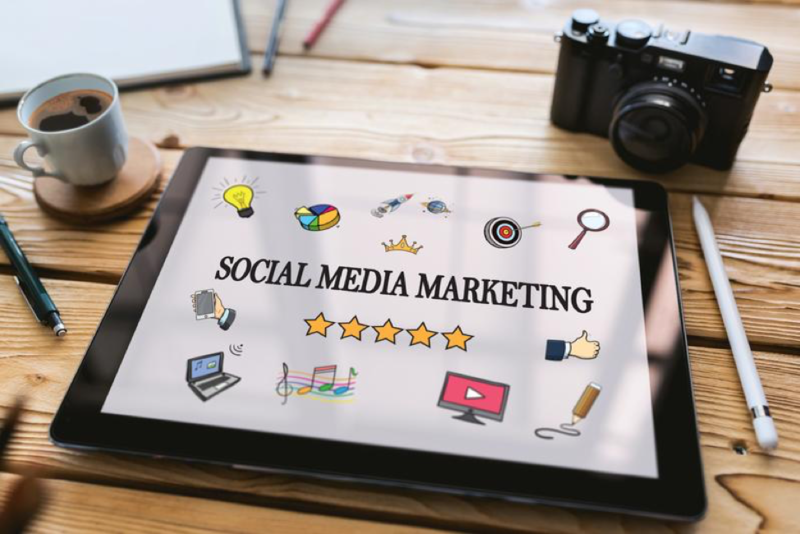 Social media reviews for your business are viewed by different types of consumers and are often the determining factor for whether they’ll purchase your goods or use your services. Responding to reviews will show that you’re attentive, and it can address any issues or concerns your customers might have. If potential customers see you actively engaging with your audience, they’ll consider you to be a company that genuinely cares and that wants everyone to be satisfied. Establishing goals is necessary when you begin new social media accounts to ensure that you know your purpose for each of the different platforms. Knowing what you want to achieve will make it easier to decide what to post throughout the week. You may want to increase sales, generate leads, increase brand awareness, or attract more traffic to your website. Have patience throughout the process, and understand that it takes time to build your following and to attract more consumers. It can be difficult to know what you want to post on social media on a day-to-day basis, making it necessary to use a content calendar that allows you to plan future posts. The calendar should reflect your goals and should have versatility with what you post to ensure that it continues to be interesting for your audience. Knowing your goals can also allow you to decide what percentage of posts should be used to drive traffic to your website and what can be used to advertise a new product or service. Social media success doesn’t happen overnight, but it can be attained with the right steps. Knowing your goals and how to engage with your customers can increase your reputability as a business and can allow you to attain long-term success that is easy to sustain.